“Was Shakespeare an anti-Semite?”, my Jewish doctor asked me after he had completed my prostate exam. He peeled off his surgical gloves, tossed them into the trash, and went on. “Shylock and all that, I mean”. He knew that I was teaching Shakespeare and should have the answer. I said no, I didn’t think so. 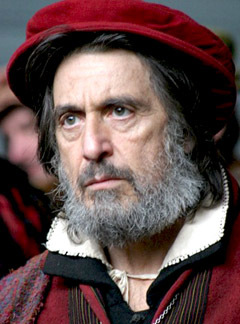 As a matter of fact Shylock was in many ways the tragic hero of the play. He was upholding the best Judaic traditions of scholarship and the Law, but was vilified and scorned for his defiance of the Christians who spat upon him and treated him like an animal. It was the Christians who were the villains in the play, not Shylock. Of course anti-Semitism had its moments in the play. Shylock is a grasping, money-grubbing Jew in the early scenes of the play, and when his daughter steals and runs away with his money, he is more concerned about his ducats than he is about her. At the end of the play when he has been outwitted by Portia, disguised as a lawyer, he snivels and grovels, and agrees to renounce his faith to save at least a part of his wealth. I’ll use it for fish bait. You can’t eat human flesh, but if it feeds nothing else, it’ll feed my revenge. He’s insulted me and cost me half a million ducats. He’s laughed at my losses, made fun of my earnings, humiliated my race, thwarted my deals, turned my friends against me, riled up my enemies—and why? Because I’m a Jew. Doesn’t a Jew have eyes? Doesn’t a Jew have hands, bodily organs, a human shape, five senses, feelings, and passions? Doesn’t a Jew eat the same food, get hurt with the same weapons, get sick with the same diseases, get healed by the same medicine, and warm up in summer and cool off in winter just like a Christian? If you prick us with a pin, don’t we bleed? If you tickle us, don’t we laugh? If you poison us, don’t we die? And if you treat us badly, won’t we try to get revenge? Shylock has been tricked by a clever, anti-Semitic lawyer, who unlike the Judge has little interest in the law but in discrediting Shylock. She convicts him on a loophole. Go right ahead and take your pound of flesh, she says; but if one drop of Christian blood is spilled, there will be hell to pay. The Christians are anti-Semites, not Shakespeare who created them; and his depiction of Shylock, distorted and caricatured very much to provide the exaggerated counterpoint to Christian vitriolic hatred. Christopher Marlowe was Shakespeare’s contemporary and competitor, and the influence of Marlowe and his Jew of Malta can be seen in less obvious ways than in The Merchant of Venice. Titus Andronicus was, many critics affirm, Shakespeare’s send up of Marlowe, or at least a final expunging of his influence. Marlowe was a committed Machiavellian, historical nihilist, Dostoyevskian and pre-Nietzschean par excellence. ‘Everything is permitted’ as Ivan Karamazov and Smerdyakov say, morality is but a convenient fiction, an artifact constructed by Man to govern himself. Tamburlaine the Great is Marlowe’s celebration of pure will, and Tamora, Queen of the Goths in Titus is cut from the same cloth. The many mutilations and murders in Shakespeare’s play cannot be taken seriously; although throughout Shakespeare’s work, willful villains not only exist but are among his most attractive characters. He didn’t dismiss Marlowe and Machiavelli. He simply toned them down. The Jew of Malta is generally seen as anti-Semitic because even more than Shylock, Barabas is a stereotype of the wealthy, grasping, unscrupulous, avaricious Jew. He also despises Christians and is introduced as a follower of Machiavelli, the synonym of amoral ruthlessness in Elizabethan England. He is also responsible for and enthusiastic about numerous murders, especially when committed against Christians. It has been argued that the abuses by various authorities against Barabas turn him into the anti-Semitic stereotype as the play unfolds, but I find this unconvincing. From the outset, Barabas is a thoroughly villainous character with no redeeming features at all. Because of this, he is often contrasted with Shylock who has many redeeming features and whose rage is much more carefully explored with typical Shakespearean subtlety and depth. In other words, Christians do not hate Barabas because he is a Jew, but because he is a barbarous villain. In that sense, Shakespeare was more ‘anti-Semitic’ because he created a Jew of such exaggerated caricature that Christians hated him because of his Jewishness. Neither playwright is anti-Semitic, although it is unclear why they chose Jews as their anti-heroes. All of Shakespeare’s other ‘evil’ villains are Christians and far more reprehensible than Shylock. In other plays like Measure for Measure Shakespeare explores the law, morality, and governance. Angelo is as much a devotee of the law as Shylock, as ruthless and demanding of others to respect and obey it. Shakespeare didn’t have to create a Jewish caricature like Shylock. Marlowe could have created a more modern Tamburlaine-like figure to expand on and illustrate his nihilism. The case of Marlowe is interesting because it conflates anti-Semitism with anti-Machiavellianism – as Ibish says above, the hatred of a man who defied the Elizabethan moral system; and because he was a Jew, a group which had been barely tolerated for centuries, the hatred for anti-social behavior became a hatred of the Jew. It is hard, of course, to know where one stops and the other begins. I met someone recently who said it didn’t surprise him that Bernie Madoff lined up, preyed upon, and bilked fellow Jews out of millions. “That’s what Jews do”, he said. I was not sure whom he hated more – people who screwed their friends or Jews. As always, I figured plenty of both. Many moral people wonder whether they are anti-Semitic because they disapprove of behavior which happens to be carried out by Jews. If Christians ran the garment district sweat shops on Seventh Avenue, would they be so outraged? If jewelers, furriers, and tailors were Greek instead of Jewish, would they complain so much? Where does the dislike of an obsession with money in anyone end, and the Jewish money-grubbing thing start? It is no different from the same moral people who wonder if they are racist because they observe and acknowledge black delinquency. Most crimes are committed by black people, most people in prison are black, and on many indicators social behavior – intact families; respect, duty, and responsibility; hard work and educational performance – blacks lag far behind. So when they cite these figures when deliberating on social development, are they deeply prejudiced? Good people are often called anti-Semitic because they criticize greed, avarice, and exaggerated materialism in Jews even though these traits exist everywhere. I reminded a friend of mine who was examining his guilt that it is not surprising that until Jews were accepted into the mainstream of European and American society, they worked at what they were allowed. Early Europeans did not permit ‘usury’ or moneylending by Christians. It was considered sinful and against Biblical injunction. It was all right for Jews to be moneylenders, however, since they were not Christians. It is not hard to see how the stereotype and the prejudice came about; and it is hard for even well-meaning people to expunge all traces of that long history without at least a twinge of self-doubt. This conflation of values has become especially problematic in the context of the Israeli-Palestinian conflict. Muslims are out in force on the streets of Paris condemning ‘the Jews” because of ‘their’ brutality and killing of Arabs. Yes it is Jews who are doing all the killing of Palestinians; but aren’t they only nationalist politicians and patriotic soldiers protecting the homeland? Once again the convenient conflation of anti-Semitism and anti-Israeli sentiment has enflamed people who already hate Jews with a visceral passion. Jonah Goldhagen wrote a book recently on the complicity of ‘good Germans’ with the Nazis in their campaign to exterminate the Jews. Others have wondered how ‘good Frenchman’ could have willingly rounded up Jews, packed them in the Val d’Hiver, and boarded them on trains bound for Auschwitz. In Germany fervent nationalism, resentment of Allied victors in WWI, a frightening and ruthless dictator, an SS as terrifying and threatening as the Tonton Macoutes or Stasi led many Germans to go along. But one cannot help but concluding – as Goldhagen did – that even so, most Germans were glad to get rid of the Jews. Anti-Semitism in today’s world is very hard to explain. Jews have contributed disproportionately to mathematics, science, music, finance, the arts, and philosophy. Israel is simply defending a homeland which they have always deserved. The devious and predatory wolves of Wall Street are far more more dangerous and threatening to the commonwealth than the Jews ever were. So why is it that we still hear anti-Semitic remarks? Lack of full assimilation – although this too is changing with increasing levels of intermarriage -; a millennium of anti-Jewish European history and a cultural heritage configured by it; jealousy and suspicion of successful Jews; a need to hate ‘The Other’; and probably a hundred other unjustified reasons which are more illustrative of society than anything to do with the Jews. Young adults of my children’s age pay no attention to surnames and make no mental note of who is Jewish and who isn’t. Diversity – the legitimacy of blacks, Latinos, Asians, and LGBTs – has superseded what we called ‘nationality’. The best remedy for curing racism and anti-Semitism still works – assimilation through the adoption of majority norms and values. So when I heard the statement, “That’s what Jews do”, I was startled. I hadn’t heard that type of comment for ages; but then again, I wasn’t paying much attention to the many people who were spitting rage at Israel when they were really saying, “That’s what Jews do”. I’m sick of it. I have wondered whether he is right, and whether or not there will always be a basal rate of anti-Semitism;. I rethought my conclusion that assimilation will do the trick and progressively eliminate the phenomenon. I hope he is not right, but I can’t help thinking he is.